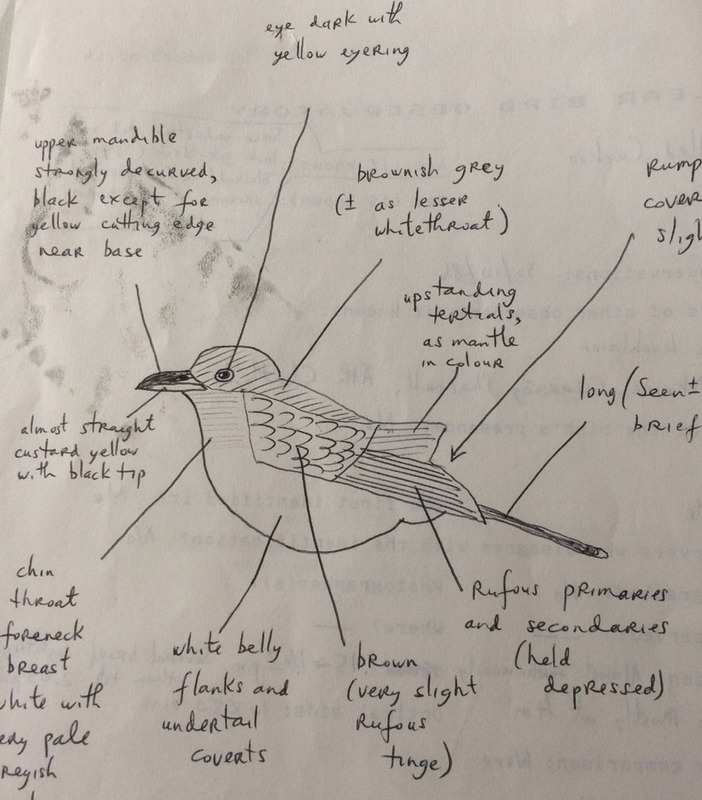 In the early afternoon of 30th October 1986 I was trudging back along the High Road from a fruitless morning's birding in Ballyieragh, Cape Clear Island, Cork. I came within view of Denis Burke's garden and from a distance of about 100 metres saw a bird sitting on a twig sticking out from the hedge at the back of the garden. Lifting my binoculars showed the bird facing me and my first quick impression was of a Lesser Whitethroat Sylvia curruca, but even at that distance I noticed the lack of dark ear coverts and an apparent paleness towards the base of the bill. By the time I reached the junction with the Low Road I was thinking Yellow-billed Cuckoo Coccyzus americanus. So far I had only obtained head on views, and since the bird seemed settled I galloped round the shop and crept past the hedge, keeping going for twenty metres more towards the Youth Hostel. The bird was still visible sitting motionless, closing its eyes and dozing at times and and I spent about five minutes noting all the features. Being totally certain of the identity by now I walked slowly back, eventually ending up as close to it as possible (about four metres away) while staying on the road. 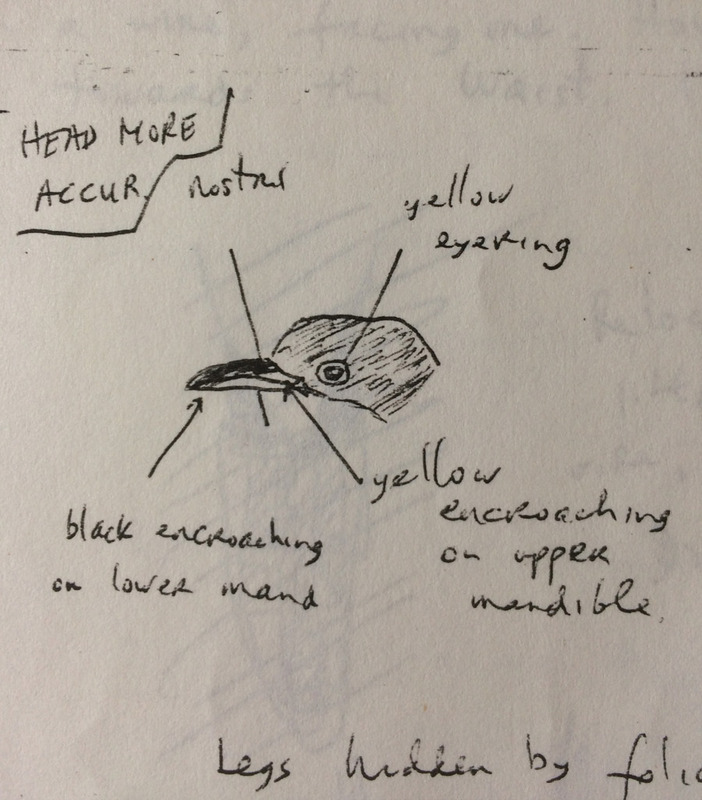 I had begun taking detailed field notes at a distance of twenty metres and was about halfway through when the bird suddenly perked up and flew onto the gable end of a nearby house (giving me my first view of the rump and uppertail) and within a few seconds took-off towards Cotter's Garden. I relocated the bird back in Denis Burke's garden, where it was sitting on a wire, facing me, but it quickly flew off towards The Waist. 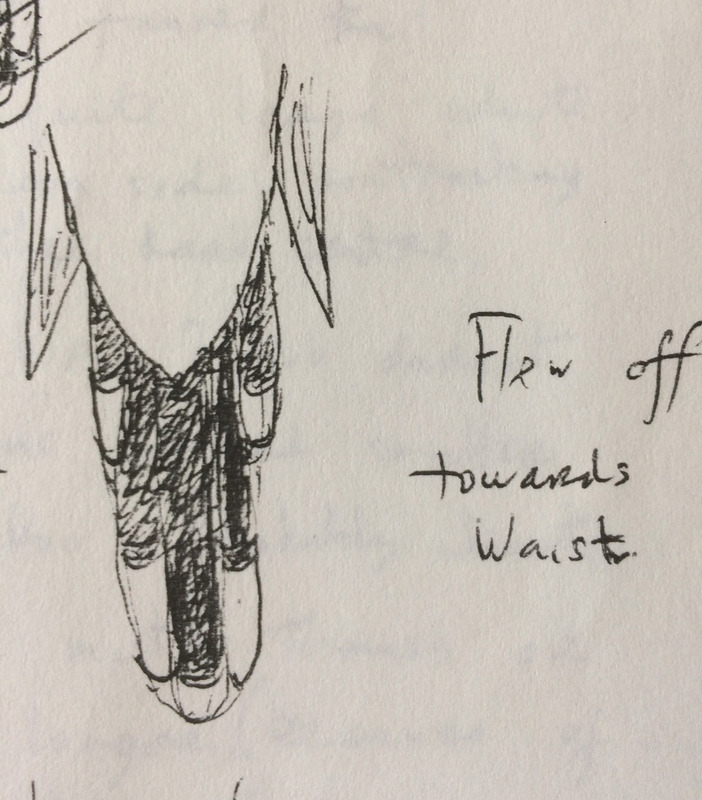 Finally I had several short and relatively distant flight views in The Waist and took further field notes before leaving the perched bird in order to make phone calls to alert others. Size: Probably smaller than Common Cuckoo Cuculus canorus, about the length of a Mistle Thrush Turdus viscivorus or a little longer due to long tail but slimmer. Bare parts: Eye dark with a yellowish eye ring. Bill fairly deep based, quite long. Upper mandible mostly black with a little yellow along cutting edge near base, strongly decurved. Lower mandible almost straight, custard yellow except for a little black near tip. Gape yellow, legs not seen. Head: Lores, forehead, crown, nape, ear coverts smooth brownish grey. Upperparts: Mantle brownish grey, similar to upper head. Upperwing coverts brown with a very slight rufous tinge. Tertials, scapulars and secondaries like mantle. Primaries and secondaries drooped down with the former coloured rufous. Rump and uppertail coverts the same as mantle but in flight views with the tail spread large white spots were visible along the sides contrasting with the rather dark centre. The tail was long and tapered. Underparts: All white with slight greyish wash to the front only visible at close range. Undertail: In the brief headd on view I got of the undertail I saw stark contrast between the white undertail coverts and the blackish base of the tail, the general impressioon was of a long tapered tail with a broad barring effect. Underwing: In flight the whole underwing looked pale rufous, the shape was broad based and pointed – rather like a Cuckoo. The shortest flights looked floppy, the longer ones fast and direct. It looked long and slender in flight. 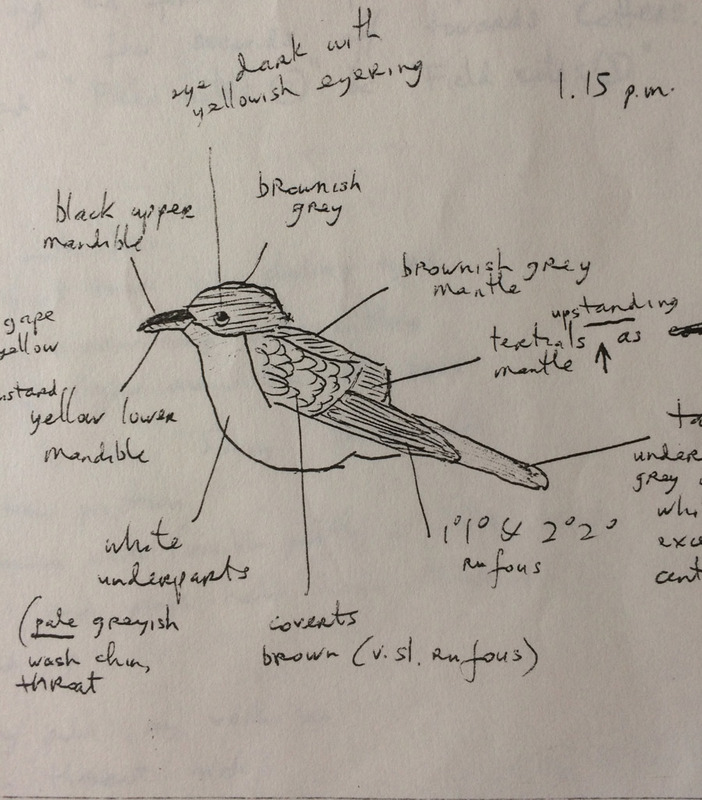 Some sketches and field notes made by Éamonn MacLochlainn around the time of observation. The bird was accepted as the sixth Irish record by the IRBC and published in the 24th Irish Bird Report (Irish Birds 3(3): 479). It was the second record for Cape Clear Island, following another found dead beside the path from Central Bog to Lough Errul on 13th October 1969 by Ken Preston (IBR 17: 47). When discovered it was partly covered by bracken and estimated to have been dead for somewhere between four and six days. In total there have been ten Irish records to 31st December 2015, most recently at Ballycogley, Wexford in October 2011 (Irish Birds 9(3): 475). The first record was found sometime in autumn 1825, and of the rest, eight were in October and one in September. 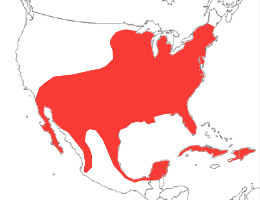 Yellow-billed Cuckoo breeds in deciduous woodland from extreme southeastern Canada through much of USA (except the northwest) to Mexico and northern West Indies. 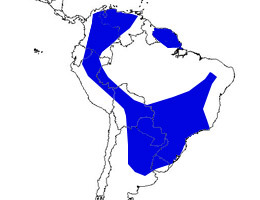 It is a long-distance migrant passing through Central America to winter in South America as far south as northern Argentina. It is a rare autumn vagrant to the Western Palearctic. The first WP record was killed at Youghal, Cork in autumn 1825. Britain has had the most WP records with 64 to the end of 2015. Elsewhere in the WP it has reached Azores, Iceland, France, Norway, Belgium, Denmark, Italy, Spain and Morocco.